NEW YORK–(BUSINESS WIRE)–2K and Firaxis Games today announced that Sid Meier’s Civilization® VI, winner of The Game Awards’ Best Strategy Game, DICE Awards’ Best Strategy Game and latest entry in the prestigious Civilization franchise, is coming to Nintendo Switch™ on November 16, 2018. 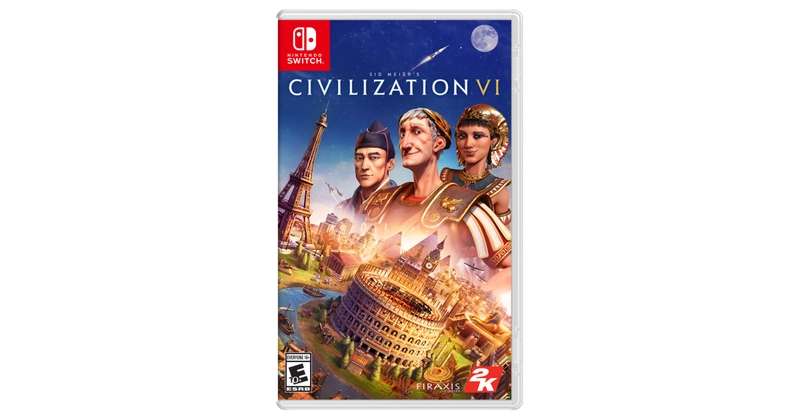 Additionally, 2K and Firaxis Games have partnered with Aspyr Media to bring Civilization VI to Nintendo Switch and ensure the experience meets the same high standards of the beloved series. Now on Nintendo Switch, the quest to victory in Civilization VI can take place wherever and whenever players want. Sid Meier’s Civilization® VI will be available on Nintendo Switch on November 16, 2018. Sid Meier’s Civilization® VI is rated E10+ for Everyone 10 and up by the ESRB, and is available now on Windows PC. Sid Meier’s Civilization® VI is also available on iPad, Mac and Linux from Aspyr Media. The statements contained herein which are not historical facts are considered forward-looking statements under federal securities laws and may be identified by words such as “anticipates,” “believes,” “estimates,” “expects,” “intends,” “plans,” “potential,” “predicts,” “projects,” “seeks,” “should,” “will,” or words of similar meaning and include, but are not limited to, statements regarding the outlook for the Company's future business and financial performance. Such forward-looking statements are based on the current beliefs of our management as well as assumptions made by and information currently available to them, which are subject to inherent uncertainties, risks and changes in circumstances that are difficult to predict. Actual outcomes and results may vary materially from these forward-looking statements based on a variety of risks and uncertainties including: our dependence on key management and product development personnel, our dependence on our Grand Theft Auto products and our ability to develop other hit titles, the timely release and significant market acceptance of our games, the ability to maintain acceptable pricing levels on our games, and risks associated with international operations. Other important factors and information are contained in the Company's most recent Annual Report on Form 10-K, including the risks summarized in the section entitled “Risk Factors,” the Company’s most recent Quarterly Report on Form 10-Q, and the Company's other periodic filings with the SEC, which can be accessed at www.take2games.com. All forward-looking statements are qualified by these cautionary statements and apply only as of the date they are made. The Company undertakes no obligation to update any forward-looking statement, whether as a result of new information, future events or otherwise.